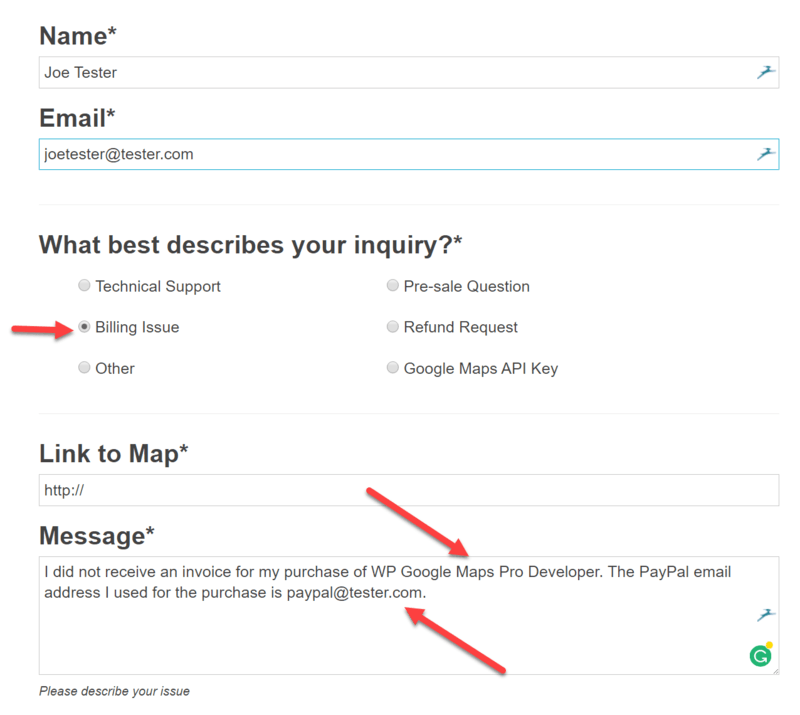 This article covers what to do if you did not receive an invoice after purchasing any of the WP Google Maps add-ons. 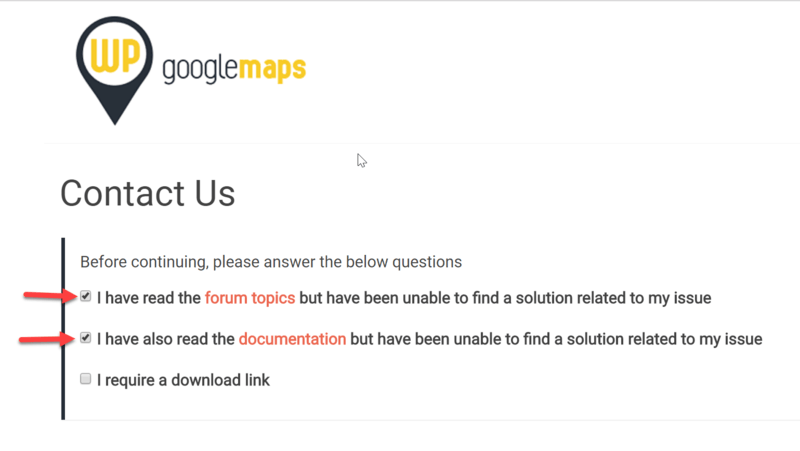 This documentation is current for WP Google Maps version 6. If you do not receive an invoice from us in a timely manner after purchasing one of our plugins, please contact us via our Support Desk. Click in the boxes next to I have read the forum topics but have been unable to find a solution related to my issue and I have also read the documentation but have been unable to find a solution related to my issue. This will open the rest of the form. Fill out the form, selecting Billing Issue as the type of inquiry. Include both the name of the product purchased and the PayPal email address used to make the purchase in the Message text. Click the Submit Support Request button at the bottom of the page. This article covers what to do if you did not receive an invoice after purchase. If you need further assistance, feel free to post on our Support Forums or visit our Support Desk.